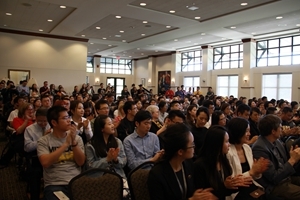 On April 24, Consul General Hong Lei was invited to give a speech at the University of Missouri entitled "Sino-US Relations in the New Era". 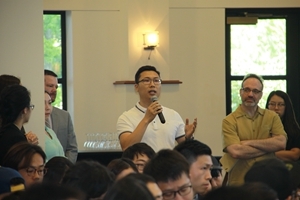 Also present were Interim Vice Provost James Scott and Director of the Asia Affairs Center Sang Kim as well as another 200-odd teachers and students from the University of Missouri. 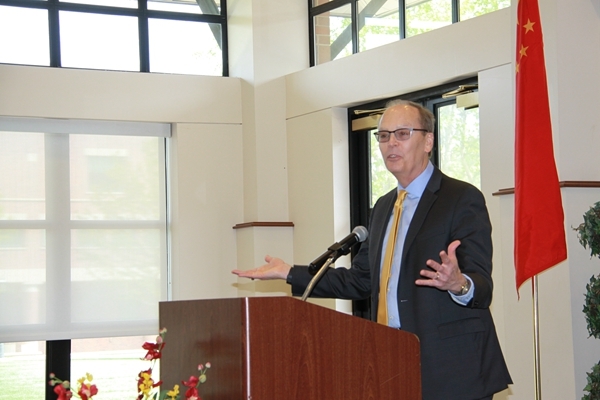 Consul General Hong Lei said that in the last century, University of Missouri alumni of the school of journalism Edgar Snow cared so much about China's future that he came to China to build a bridge between China and the US and opened a window for the world to understand China. The exchange and friendship between the two peoples is one of the most fundamental cornerstones of Sino-US relations. In recent years, the two countries have had a strong momentum of cultural exchange. In 2016, nearly 5 million people from China and the United States traveled across the Pacific, of which 2.6 million Chinese visited the United States. 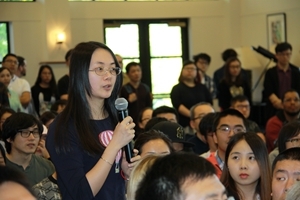 300,000 Chinese students are studying in major universities in the United States, accounting for one-third of foreign students in the United States and are the largest international student group. 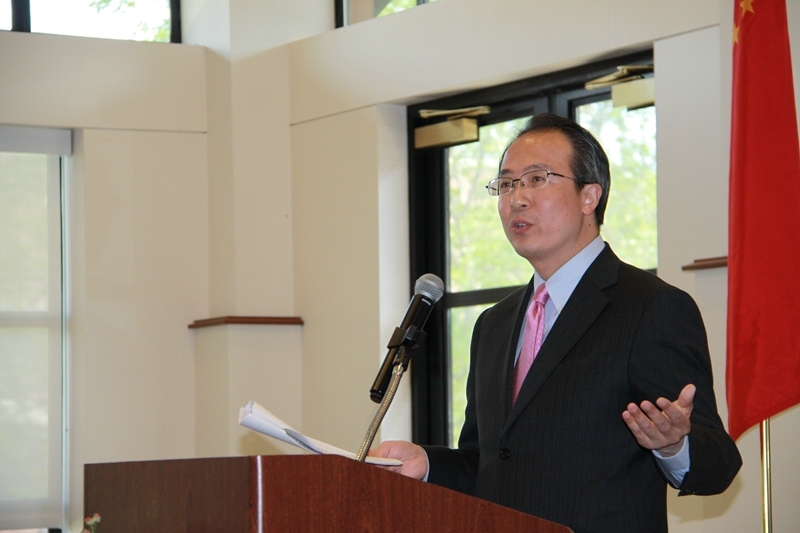 Consul General Hong Lei reviewed the development of Sino-US diplomatic relations in the last 38 years and China's cooperation with Missouri, saying that the Sino-US relationship is the world's most important bilateral relations and the need for bilateral cooperation far outweighs the differences. President Xi Jinping and President Trump held a successful meeting in Florida earlier this month to confirm the direction and principles of Sino-US relations. Both sides agreed to promote greater development of bilateral relations and benefit both peoples at a new starting point. To maintain the sustained, healthy and stable development of Sino-US relations is not only in the fundamental interests of the two peoples, but also meets the overall expectation of the international community. The meeting is very important, timely and effective, and it is believed that the two countries will play an important role in moving forward bilateral ties along the correct track, and will also have a significant impact on promoting peace, stability and prosperity in the Asia-Pacific and the world at large. 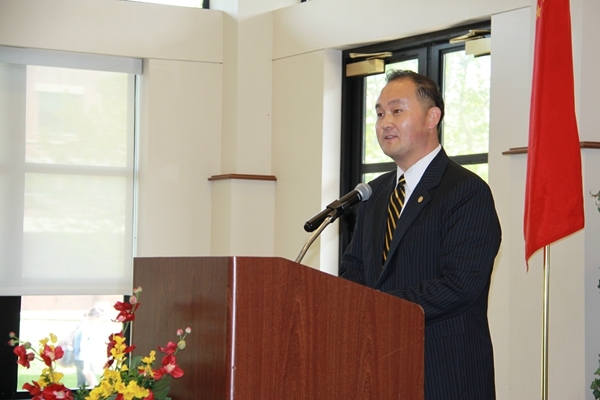 After the speech, the Consul General Hong Lei also answered questions from the teachers and students.